The great outdoors of the Western Upper Peninsula offers many places to create great family memories and connect with nature. Take a relaxing day sight seeing all the natural beauty surrounding BPLA. Be one with nature out in the woods along a cross country ski or snowshoe trail. Treat your palette with local cuisine at one of the many restaurants in the area. Or enjoy a show at one of the theaters in Ironwood. There is always lots to do in the Big Snow Country! 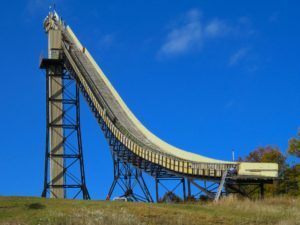 Copper Peak is the world’s largest artificial ski jump, and the only one in the western hemisphere. A chairlift ride to the top of the hill, elevator to the observation deck, and 60 ft. walk to the upper platform promises you the most panoramic views in the Midwest. From the start of the top chute, Copper Peak’s rocket-steep in-run forms a descent three times greater than Niagra Falls. This one of a kind adventure is worth the trip up North alone, something you won’t soon forget! Up and coming mountain biking hot-spot: The trail system designed for Copper Peak will cater to all types of riders, whether you are a beginner or extreme downhill rider, this trail system has a little something for everyone.There are 7 miles of amazing mountain bike trails that traverses through Copper Peaks majestic landscape. Click here for a full list of the area’s mountain biking trails courtesy of the SISU Dirt Crew! Copper Peak was the host for the Red Bull Run on May 12th, 2018. The Red Bull Run was the first event to take place at Copper Peak since 1994. Stay tuned for more information on the future of Copper Peak and the Red Bull Run! It has been said that you cannot go more than 6 miles in any direction without finding a lake or river. That has got to tell you something. 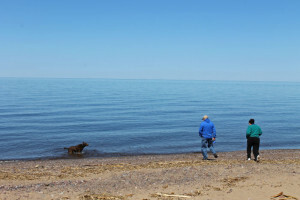 Of course Lake Superior is the largest fresh lake in the world, and its shores are varied with sandy beaches to jagged cliff lines layered with trees. The beauty and sheer size are unrivaled. Kayakers have taken a true love to the Superior Lake as it provides endless paddling opportunities. Our rich and diverse heritage in the region has given way to many unique and historical land marks across the range. 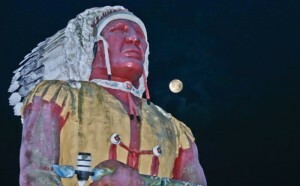 Some must sees are the World’s Tallest Indian, Hiawatha, the 52 foot tall statue, the Historic Ironwood Theatre, the Chicago & Northwest Railroad Depot Museum and Park, the Miners Memorial Heritage Park and many Historical Society Museums. Take a drive or walk up Mt. Zion (located behind Gogebic Community College) and check out the magnificent views! Once you reach the top there is an observation deck to take in the spectacular view. This is a must see all year round but especially during the fall season! The Ironwood Theatre was incorporated in 1988 as an independent, non-profit cultural organization. The building is leased from the City of Ironwood. The Ironwood Theatre is a volunteer based organization with an 11 member Board of Directors, one full-time and one part-time staff, 15 regular volunteer staff members and more than 100 individual event staff members, all of whom donate their time and skills because they believe in, and love the theatre. The Ironwood Theatre was built as a vaudeville & silent movie palace in 1928 under the direction of Architect Albert Nelson at a cost of $160,000 (equivalent of approximately $2,000,000 today). Under the leadership of A.L. Pikar, the theatre became the center of entertainment in the Ironwood area. The Hollywood Golden Age of the 30s, 40s and 50s followed the Great Depression and the theatre flourished during these decades. 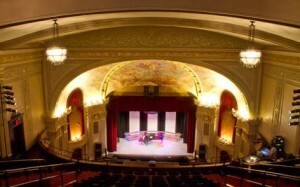 Learn more about the history of the theatre during a tour! Call the theatre at 906-932-0618 to set one up! Or take in one of the many shows & performances put on throughout the year! 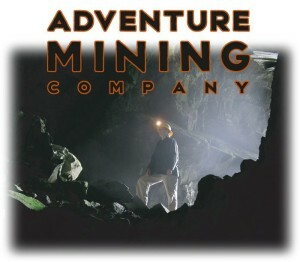 The Adventure Mining Company, located in Greenland Michigan, operates real mining tours of the once operational Adventure Iron and Copper Mine. The mine opened in 1850 and closed in 1920. It is the best preserved mining site of its age. The tours offer an insight into real mining, the way that it was. These range from adventure to educational levels and are available from late May into mid October. The Western U.P. is the perfect place to take a Golf Getaway. 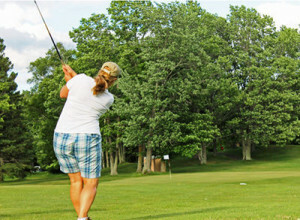 We offer three scenic golf courses that will appeal to golfers of every skill level. Just a short drive a way is the 18 hole Gogebic Country Club and in neighboring Wisconsin you can try out Eagle Bluff or Skye Golf located in the Whitecap Mountains. Join Big Powderhorn Lodging for the long holiday weekend full of exciting area activities and family fun! The surrounding area offers a small town charm with a Big city celebration! 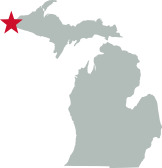 Bessemer, MI hosts their “Bessemer Blast” 4th of July festivities every year. 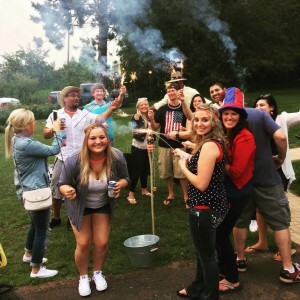 You will find games, a mud run, a hometown run with tot trot, a craft fair, outdoor card tournaments, relay races, karaoke, street bowling, geocaching, a poker run and the best parade & fireworks display in the upper Mid-West! A whole week’s worth of fun and activities everyone can enjoy!